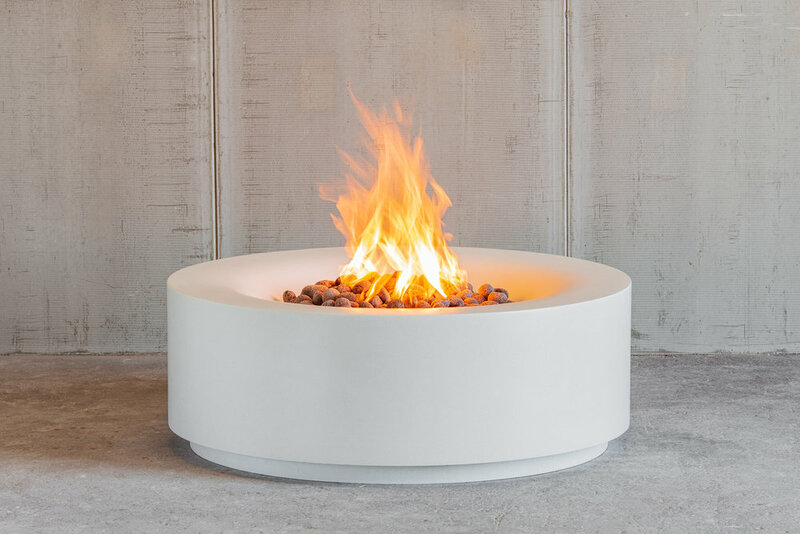 The AURA fire table combines clean lines with soft curves for a centerpiece that celebrates the dynamic motion of fire. The gentle inner slope showcases the spectacular ambience of the flame, while the level surface provides a space to set beverage service or tapas platters. Our premiere unique design, AURA is available in five sizes and a wide range of colors, making it an easy addition to your outdoor living and entertainment spaces.